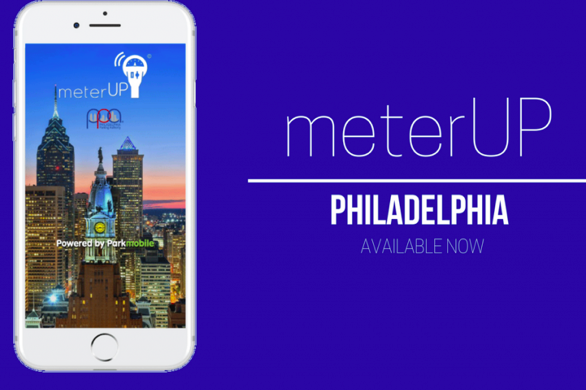 PPA's meterUP mobile payment app. The Philadelphia Parking Authority, eager to bounce back from a week of heavy scrutiny by state auditors, on Monday announced the return of its mobile payment app, relaunching meterUP exactly eight months after its shutdown due to financial problems with its service provider. “After the success of the initial pilot program, we are delighted to offer this very popular and convenient pay-by-phone option to the parking public," PPA executive director Clarena Tolson said in a blog post. "Our customers will now have the convenience of remotely paying or adding time for parking." It wasn't necessarily clear that the previous go-round with meterUP was ever intended to be a pilot program. Tolson didn't go out of her way to explain why meterUP was abruptly suspended in April. The app, launched in 2015, was intended to make life easier for drivers who may not have had cash, coins or credit cards at their immediate disposal. PPA decided to partner with Pango USA because of the perceived best value of the company's low-cost presentation. Pango USA was sold in October 2016. The company began to experience revenue shortfalls. By early this year, its leadership told PPA it could no longer pay its own contractors or credit card processor. With a user base surpassing 20,000 people, meterUP went down on April 11. PPA again put out a Request for Proposals to find a better service provider, with an initial goal to have the app back up by summer. Tolson later said the app's complex implementation would likely push its return into the fall. “Our goal is to improve convenience and the overall parking experience in Philadelphia for all of our customers," Tolson wrote. "We believe meterUP is a major step in the direction of improving customer service and convenience." PPA has now partnered with Parkmobile, LLC, the company powering similar mobile payment apps in cities including New York City, Denver, Dallas, Washington, D.C. and Miami. Over the next few weeks, PPA will post signs and decals with zone numbers and directions on how to use meterUP. Users pay by zone and are given the option to either extend or cut short their parking session at any time. During the rollout, mobile payments will only be accepted in zones where kiosks have been marked with signs and decals. Eventually, meterUP will be usable both citywide and in other cities where Parkmobile is the service provider. The new version of meterUp is available for download on iOS and Android.